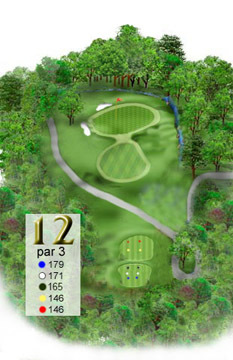 This par 3 is all down hill with lots of trouble all around. Miss the green too far left and you'll have an almost impossible up and down because of trees and sand. Too far off to the right and the trees will cause problems as well as a run that runs along the tree line.